One of the first things you'll want to do before you start your new home search is understand what your monthly expenses look like. You may know how much you make each month, but where is it all going? Having an accurate budget you can refer to makes it easy to see how much house you can afford and will show you what areas you can work on to achieve your goal of buying a new home. Luckily, we created just the resource for you. When you download our FREE Monthly Budget Worksheet, you'll be able to accurately track your expenses and determine what type of home you can afford. 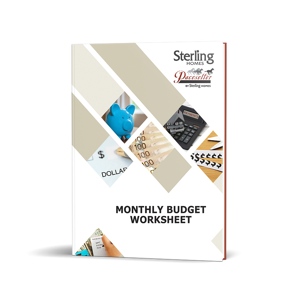 Fill out the form on this page to download our FREE Monthly Budget Worksheet now!